… and flavor up your next barbecue menu with a wild and crazy zesty marinade. It will help tenderize the meat and give you an even juicier finished product. 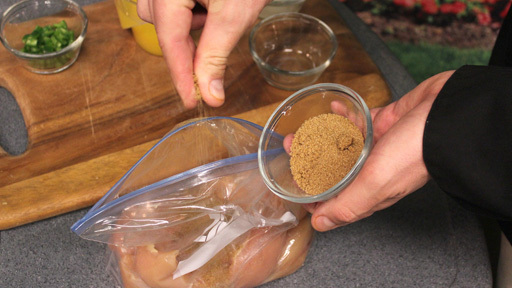 I usually experiment with lots of different ingredients just to personalize the marinade and make it my own. It’s probably a good idea to taste it, though, before soaking the meat in it. *When using vinegar, be careful not to soak the meat for more than 30 minutes. It can actually reverse the process and make the meat tougher. In its simplest form, a marinade would be the juice of one lemon, two tablespoons of olive oil, three cloves of minced garlic, and one tablespoon of crushed black peppercorns and salt. Be careful though – too much salt will hide the flavors you want to enhance. Once the marinade has soaked with the meat, discard it or boil it to kill off the bacteria if you want to use it as a sauce. 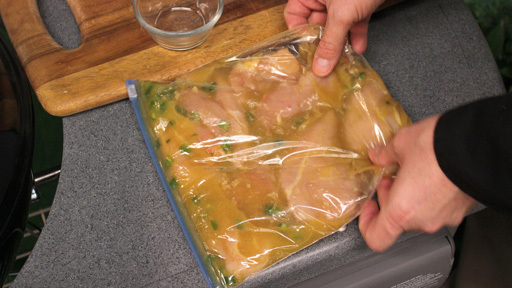 It is probably safer to reserve some of the freshly prepared marinade to use as a sauce, and then use the rest of the prepared marinade to soak the meat. And if your marinade is a winner, write it down and name it after you. This is one for the record books. Get Grilling this Memorial Day Weekend!